James Perse's pieces are inspired by - and perfect for - laid-back West Coast living. 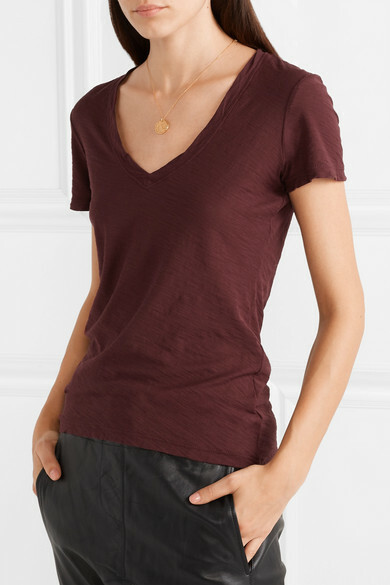 Cut from slub Supima cotton-jersey, this T-shirt has a sloping V-neckline and slightly loose fit that layers or tucks into pants easily. 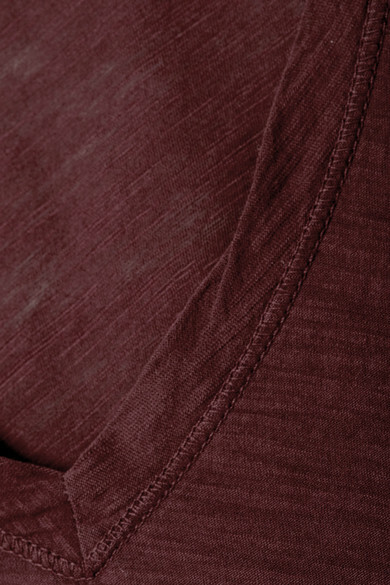 The burgundy hue is just as versatile as the black and gray versions. 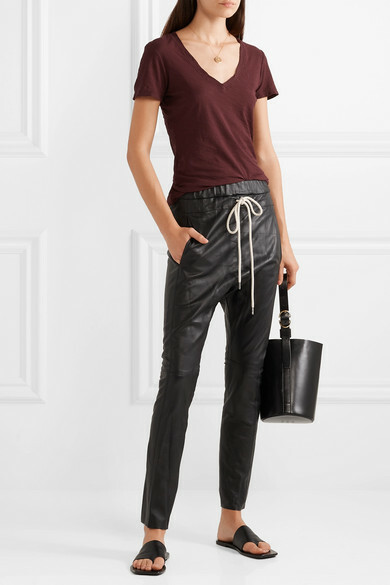 Shown here with: Bassike Pants, Trademark Bucket bag, The Row Sandals, Alighieri Necklace.